I take K2-7 + D3 by Vital Nutrients to keep my 'D' levels up. This potency works just right for me. The addition of the 'K' avoids having to take a separate supplement. Vitamin D3 (cholecalciferol) and Vitamin K2-7 (menaquinone) work synergistically to help maintain bone health. Vitamin D3 helps maintain healthy serum calcium levels by promoting intestinal absorption and reducing urinary excretion of calcium. 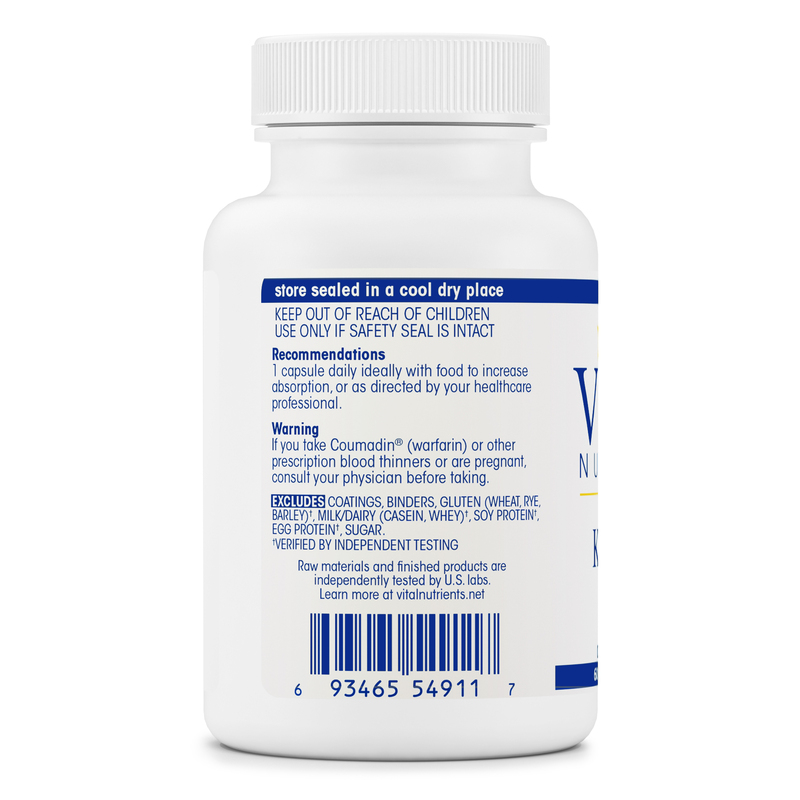 Vitamin K2-7 supports healthy bone mineralization by acting as a cofactor in the carboxylation of osteocalcin‚ allowing calcium to bind to this protein in the extracellular matrix of bone. 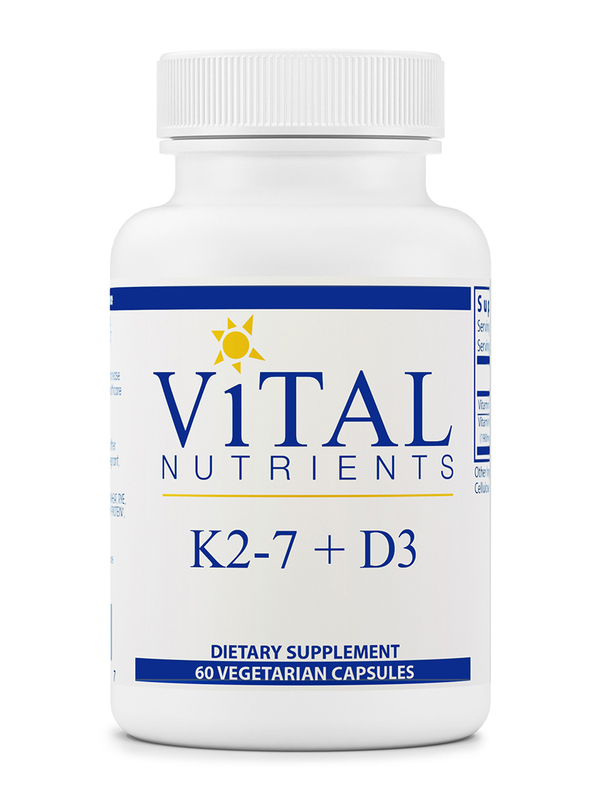 Vitamin K2-7 also supports healthy cardiac and vascular function. 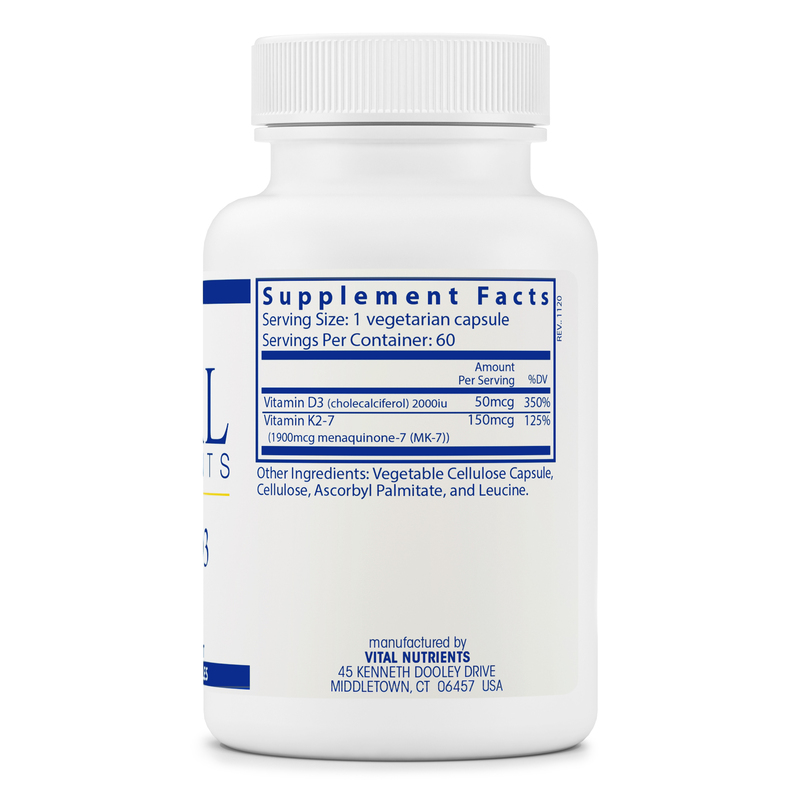 This form of Vitamin K concentrates in the tissues of the arteries‚ where it aids in carboxylation of Matrix Gla Protein to help maintain normal calcium metabolism and support healthy vascular elasticity. Additionally vitamin K2 may help support healthy lipid levels and promote normal insulin sensitivity. Although frank vitamin K deficiency is rare‚ research suggests the Western diet may not contain sufficient Vita-min K2-7 to optimize carboxylation of Gla outside the liver. Higher dietary intakes of K2 have been associated with healthy levels of arterial calcification and elasticity. Other Ingredients: Vegetable cellulose capsule‚ cellulose‚ ascorbyl palmitate‚ and leucine. 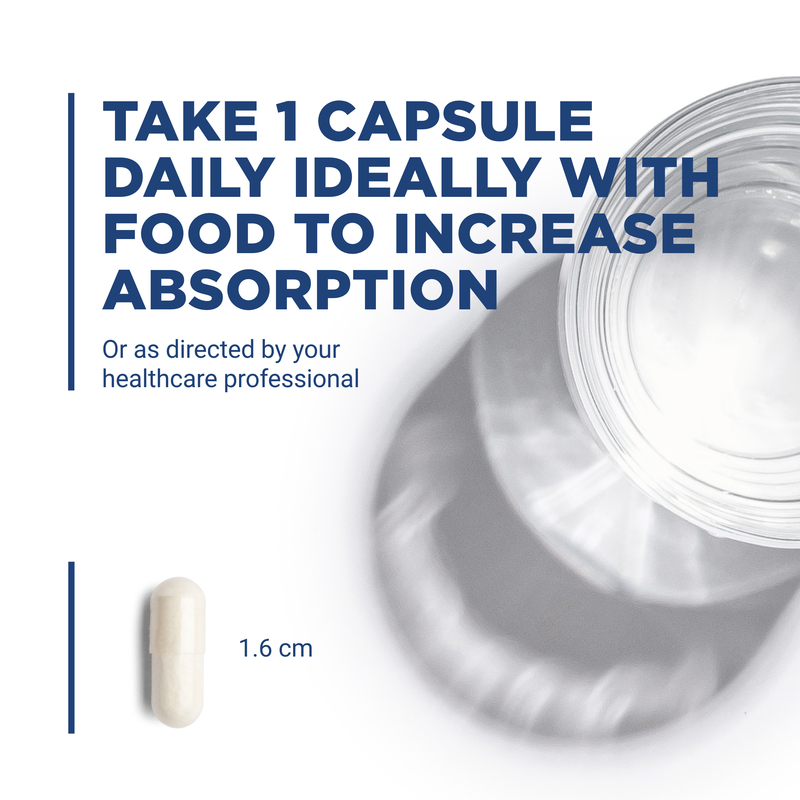 1 capsule daily ideally with food to increase absorption‚ or as directed by your healthcare professional. If you take Coumadin® (warfarin) or other prescription blood thinners or are pregnant‚ consult your physician before taking.